Kitty Hawk, a aerial vehicle startup that’s funded by Google cofounder Larry Page, opened its Flyer “flying car” for select test flights for businesses and social media influencers on Wednesday. The Flyer, a recreational and lightweight aircraft, has been advertised as needing only an hour’s-worth of training before pilots are ready to fly. 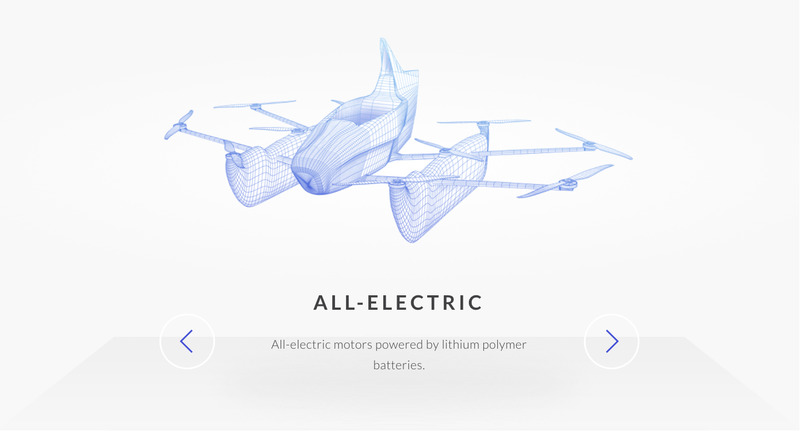 In many ways, it operates a lot like a drone you can pilot from on top of it – it’s powered by 10 motor propellers that are self-stabilised, and is intended to be simple and easy to control. It’s intended to be flown over water, hence the pontoons on the bottom of the aircraft. Here’s a look at how the Flyer evolved, how it works, and what the latest version looks like in action. 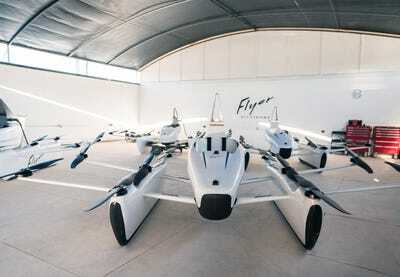 The Flyer is all-electric, powered by a lithium polymer battery. The battery lasts for about 20 minutes before it needs to be recharged. 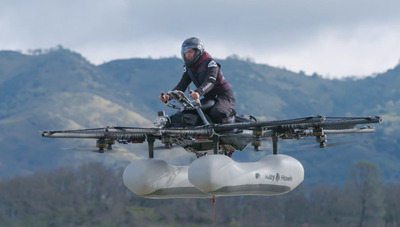 Because of the electric power, Kitty Hawk says the Flyer will be pretty quiet – about the sound of a lawnmower from 50 feet away, and the sound of a loud conversation from 250 feet. 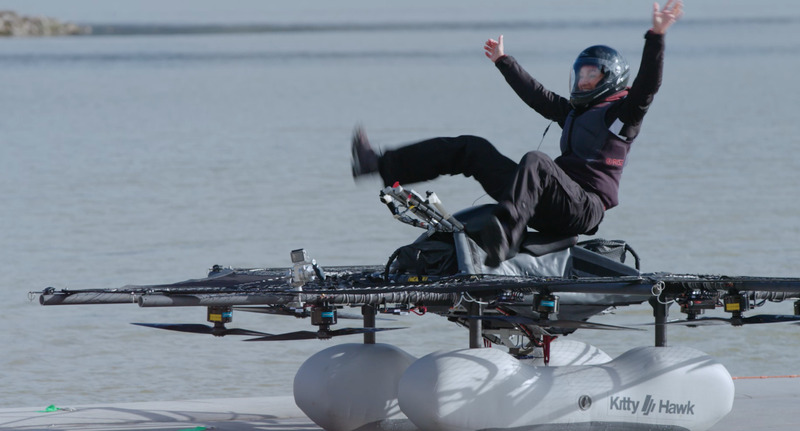 The Flyer is controlled by only two joysticks, so it’s intended to be used by pilots with little to no experience with flying. For first-time flyers, the altitude is limited to 10 feet, and the speed is limited to 20 mph – although Kitty Hawk CEO Sebastian Thrun says the vehicles should one day be able to fly at speeds of up to 100 mph. 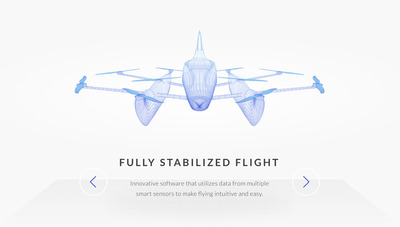 Similar to how consumer drones are self-stabilised to avoid tipping and to provide a smoother flight, the Flyer has an internal system that regulates the stabilisation of the vehicle. 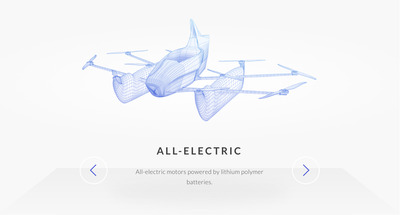 The 10 motors on top of the Flyer allow it to operate like a drone or helicopter does – which means vertical takeoffs and landings are possible. 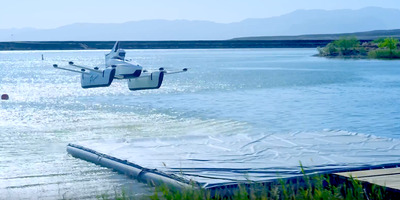 The Flyer is classified as FAA CFR Part 103 – Ultralight. This means that a pilot’s licence is not needed to operate it and the aircraft doesn’t need to be registered, but that ‘ultralight’ classification comes with a few limitations as well. 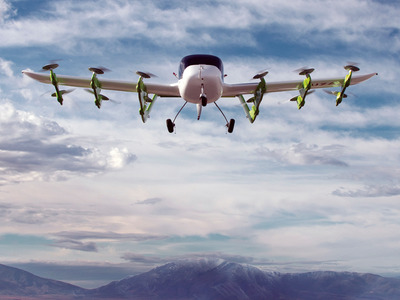 Ultralight aircraft can only be operated by a single occupant for recreation purposes, and they cannot be flown over congested areas of cities or towns. 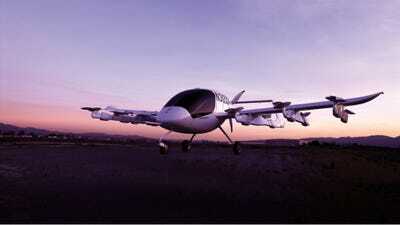 They are also limited to a maximum airspeed of 55 knots (63 mph). 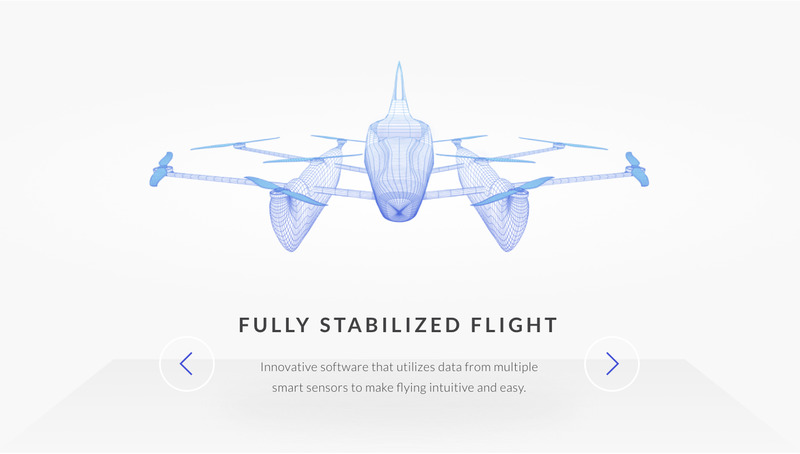 The Flyer has evolved since a prototype was first revealed in April, 2017. It didn’t originally have an enclosed cockpit, and it was controlled by two handlebars instead of the current two joysticks. This was never intended to be the Flyer’s final design — it was a prototype that would eventually be updated. 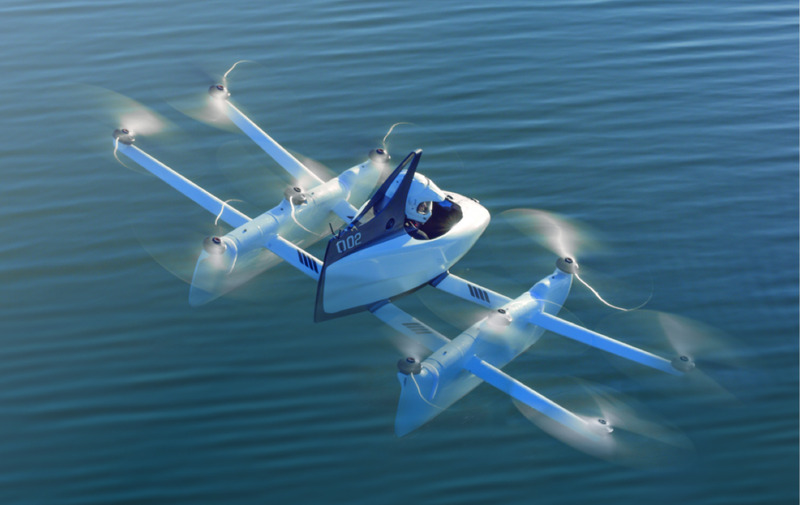 The Cora was Kitty Hawk’s first project – an autonomous, electric, two-passenger air taxi. 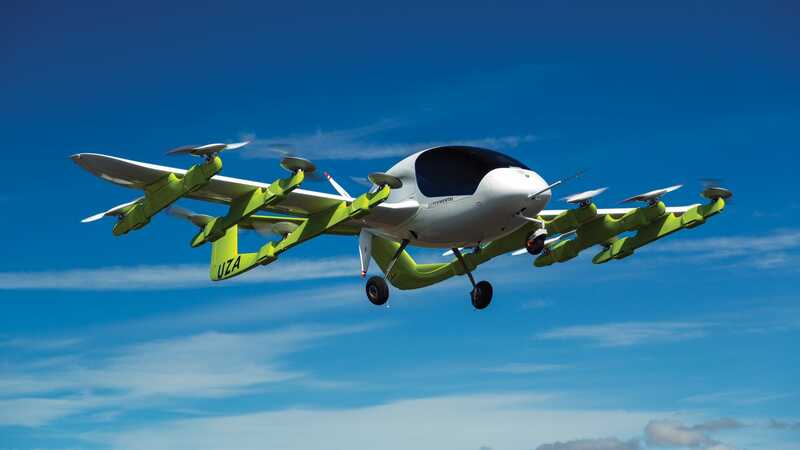 It’s been in development since 2010, and the company has a partnership with New Zealand to test and develop the Cora there. The Cora is intended to be an easy method of air travel – with no need for runways or human operators. 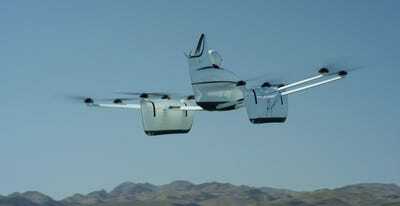 The aircraft is capable of vertical takeoff and landing, like a helicopter, but once in the air it can fly like an aeroplane. 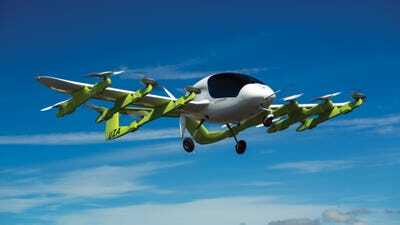 When the Cora takes off, it uses the 12 vertical rotors, and when it flies it uses the one, primary rotor. Cora is intended to be self-flown, with human oversight in case manual control is needed. Although the concept of autonomous vehicles isn’t exactly comforting to everyone yet, Cora is designed with some safety features too. The rotors operate independently from one another, it has three independent flight computers, and a parachute if the aircraft needs to land without the rotors. Eventually, the Kitty Hawk team plans to incorporate a parachute into future designs of the Flyer as well. According to Kitty Hawk, Cora has a maximum range of about 62 miles, and a maximum speed of about 110 mph. 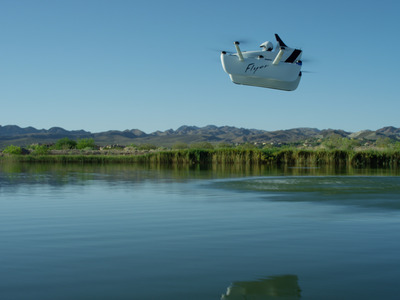 The Flyer is Kitty Hawk’s latest vehicle, and the one aimed at consumers. So far, it’s only allowing interested businesses and select social media influencers the ability to test-fly the Flyer, according to CNN. There’s no price yet, but the company is accepting pre-order applications for the first wave of ‘Founder Flyers’ over at its website.